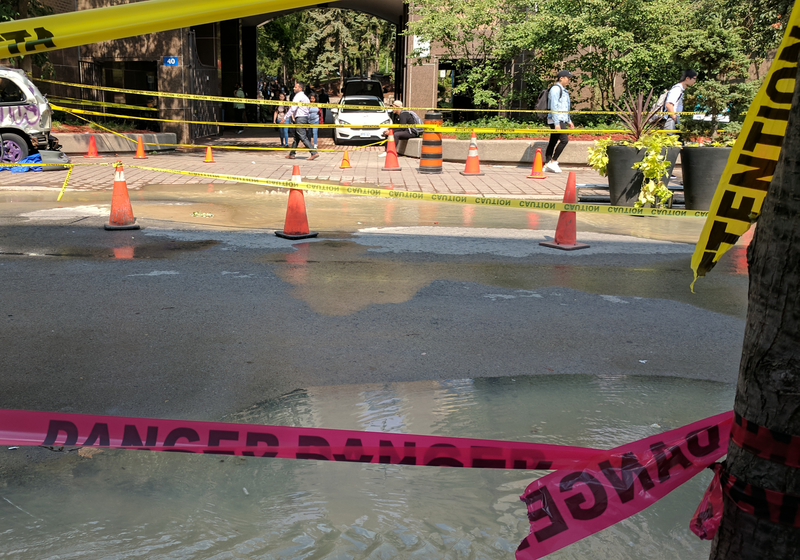 UPDATE: Ryerson University’s Twitter account tweeted early Wednesday morning that the city has repaired the water main on Gould Street. Gould Street was closed Tuesday due to a water main break during Ryerson’s Street festival. The break happened around 11:30 a.m. Part of the street, from Victoria to Bond, was blocked off. Arts and Life Editor and Reporter at Ryersonian for the 2017/2018 academic year.